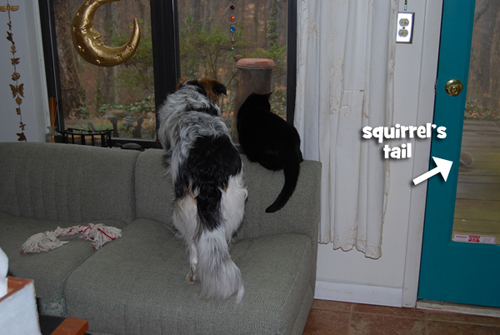 An amusing episode of squirrel watching from their vantage point on the sofa in my office! 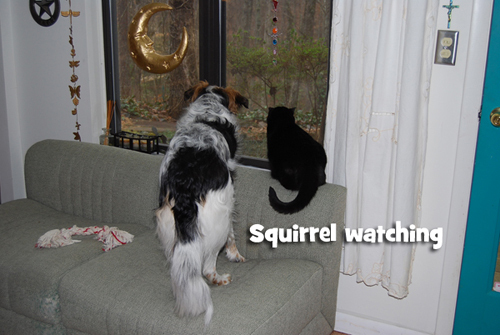 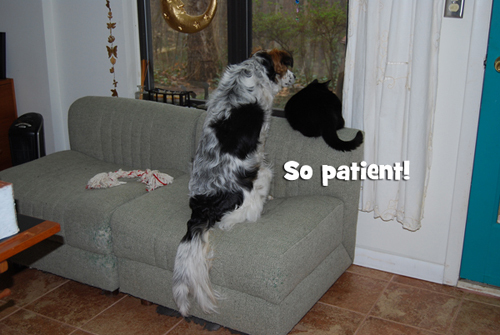 Fiona and Caesar (constant companions) are mesmerized by a little squirrel at the feeder outside the window. 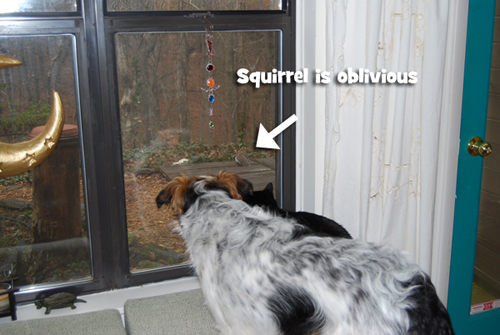 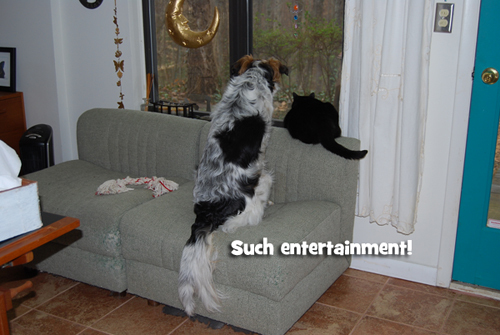 The amusement continued until Fiona elected to go outside for a closer look at the squirrel — who scrammed!